Remember the old times when you used to see a person dressed as a hotdog or a lipstick trying to convince you to visit their store once? For those who don’t know, that’s a mascot. Mascots are the real deal here, and thankfully, they are making a comeback to stick around for the long haul. Mascots give your brand a face and a personality which works as a robust appealing factor. Listed below are a few reasons which clarify why mascots are here for a longer time. Apart from social media interactions and business opportunity generation through the web, personal interaction has a different charm which brings mascots into play. Top costume makers in Sydney suggest that they can be used to communicate with potential customers and compel them to visit the store to avail services. When facing downfall, advertising on the web and even print advertising might seem like a giant leap. Mascots are economical and give your customers the message that you are serious about your business which didn’t stop you from personal advertising even in harsh times. If you think of mascots solely as a traditional means of advertising, let’s all take a minute here to catch up with the latest trends. Mascots are going social these days which makes them an integral part of your online campaigns too and are perfect to introduce new characters and play a bit with the plot for better income. Like for social media advertising campaigns, you don’t need graphic design, content writer, dialogue writers and social media personnel to advertise your mascot. Your mascots are humans who can interact without any scripts and dialogues which saves a lot of your money on hiring different people a part of which you can spend on custom made costumes in Australia. Mascots are fun, engaging and give your company a face which helps it stand out from the crowd. Whether you are a big brand or a startup, the points mentioned above undoubtedly prove why a mascot is a must have for you. 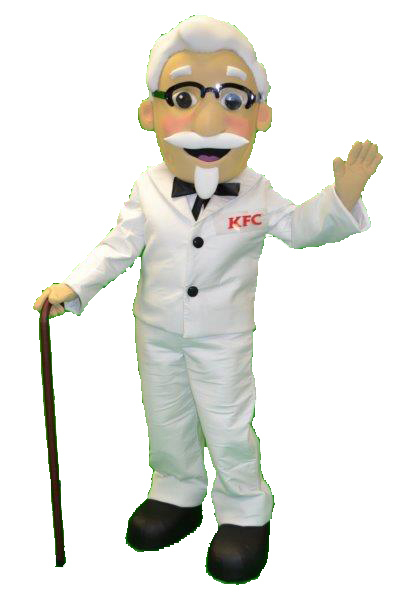 Buy mascot costume today.